On May 1, President Evo Morales expelled USAID from Bolivia for allegedly fomenting divisions within the country’s social movements in order to destabilize his government. The announcement came just days after Bolivia’s Constitutional Tribunal ruled that Morales can run for a third presidential term in 2014. 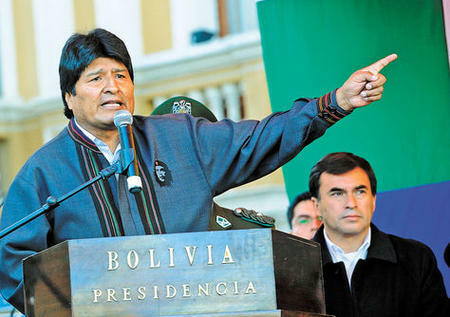 The well-timed decisions could have important implications for Bolivia's political future. Morales expels USAID. Credit: La Razón.While USAID has funded health, educational, agricultural, and environmental projects in Bolivia for 50 years, its political agenda has long been suspect, especially in relation to Morales. As Kathryn Ledebur of Bolivia’s Andean Information Network notes, the agency’s alternative development programs in the Chapare region during the 1990s required coca growers to eradicate their crops and abandon their unions before receiving assistance, working to undermine the cocalero movement headed by Morales. In 2002, USAID funded a political project to counter Morales’s incipient MAS (Movement Toward Socialism) party. After Morales’s election, USAID funding for “democracy promotion” bolstered pro-autonomy regional governments in the eastern lowlands that formed the core of the conservative opposition, working to destabilize the MAS government. These activities prompted Morales to expel the U.S. ambassador to Bolivia in 2008, followed by the DEA (Drug Enforcement Agency) in 2009. USAID was ousted from the Chapare in 2008. While the government has not tied the rupture to any specific recent incident, it has alluded generally to eight projects, identified in 2011, in which USAID allegedly conspired to divide social sectors against Morales. 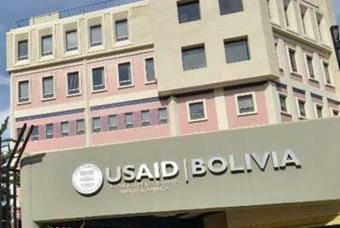 For its part, USAID has denied all accusations of political interference. USAID expelled from Chapare, 2008. Credit: Página Siete. The lack of transparency and accountability in USAID funding has been a long-standing bone of contention. In November 2011, the United States and Bolivia signed a much-heralded “framework agreement” restoring diplomatic ties between the two countries and purporting to establish a new collaborative direction for assistance based on mutual respect for national sovereignty. The status of this agreement is now uncertain. Given this legacy of mistrust, recent commentators have suggested that the question is not why Morales expelled USAID, but why he did not do it sooner. The more relevant question for Bolivia is, why did he do it just now? For one thing, the timing was propitious internationally. Last June, following the coup in Paraguay, the ALBA group of nations signed a declaration advocating the expulsion of USAID by their member governments. In October, Russia ousted USAID for alleged political interference. Secretary of State John Kerry’s infamous reference to Latin America as the United States' “backyard” revived a wave of anti-imperialist outrage throughout the region. For another, with USAID funding now drastically reduced—from $92 million in 2008 to an estimated $14 million in 2014 (for both political and economic reasons)—the financial impact of the rupture will be relatively minimal. 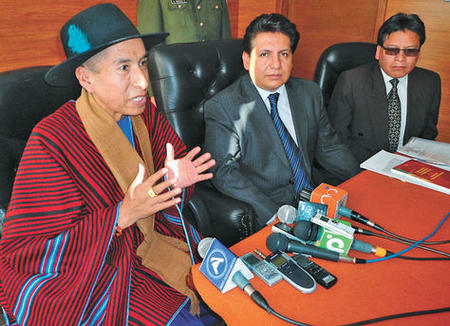 Morales has promised to absorb the cost of USAID’s social programs. Given the current strength of Bolivia’s economy, which has enjoyed seven consecutive years of fiscal surplus, this commitment seems feasible. Credit: La Razón.Most important, now that the Constitutional Tribunal has cleared the way for Morales to run for a third term in December 2014, Bolivia is in full presidential campaign mode. Stoking the fires of nationalism against an internationalist threat—real or imagined—is a time-honored electoral strategy in Bolivia (and elsewhere). In any case, the expulsion of USAID also provides a convenient distraction from the Constitutional Tribunal’s decision, which itself has been controversial. The court ruled that Morales could seek a third consecutive term, even though the 2009 Constitution allows only two, on the grounds that his first election (in 2004) took place under a previous constitution. The ruling dismissed a clause in the new Constitution stating that any prior mandate must be taken into account in computing the allowable term. This transitional provision, the court reasoned, does not apply to Morales because his original mandate did not carry over into the new Constitution (instead, Morales cut his first term short by one year and was re-elected in 2009 under the new Constitutional regime). While the legality of the issue has been settled, questions of legitimacy remain. Critics, including constitutional scholars, journalists, ex-MAS dissidents, former president Carlos Mesa, and recent MAS president of the Chamber of Deputies Rebeca Delgado, question the logic of the court’s ruling (an advisory opinion sought by the MAS-dominated legislature from the MAS-dominated, but popularly elected, judicial body), and argue that Morales should have sought a Constitutional amendment before running for a third term. TCP announces ruling. 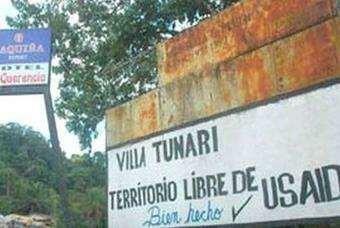 Credit: Yuvert Donasio, La Razón. They point to the history of the Constitution’s transitional provision, which resulted from a political compromise between the opposition party PODEMOS and the MAS in 2008 to secure the legislative votes needed for a popular referendum on the Constitution. Limiting Morales to a total of two presidential terms was an explicit part of that compromise, as demonstrated by a widely circulated video in which Morales publicly renounced a third term, and his personal ambition, in a grand gesture of generosity “for the unity of the nation.” This view is also supported by international observers of the Constituent Assembly process who were present in Bolivia at the time. For the upcoming election, Morales has publicly announced that he hopes to achieve an ambitious mandate of 74%, topping his previous votes of 54% in 2005 and 64% in 2009. Whether the expulsion of USAID and the court’s favorable ruling will help or hinder this goal remains to be seen.